I am sending you a hug. It will get there quicker than if I flew to see you. Your writing is clean and precise. 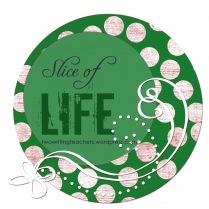 I love the little slices of your life. I lived in Tokyo for seven years, and love a window into your world. I hope the next month is filled with wonder and joy, and more ups than downs. You really have done a LOT in your first month! You deserve to pat yourself on the back. Progress notes after one month is in itself a biggie by my standards! Hang in there Jee Young, things will get easier! You’ve had a great month and lived to tell about it. Here’s a fun fact, my husband (who attended SAS 40 years ago) remembers doing the 24 day rotation in high school. Congrats on surviving your first month! I’m sure you’ll get the hang of it more and more and figure out how to balance everything well! I’m so curious – what is a 24 day rotating schedule? Our school schedule goes through so many morphs before being final – even after school starts. We are on version “H.” I can’t imagine everyone dealing with one that rotates! Thanks for sharing all your successes. Diminishes my troubles! This 24 day schedule is incredible! Hehehe…basically it goes from day 1 to day 24. So with some of their specials (PE, Art, Music), they rotate like every 3 days. Some of their other specials rotate every 6 days and stuff. Yes, it’s pretty intense, but in the end it all works out. Ya, the 24 day rotation does sound crazy. But then again even 12 sections is nuts!